Trevorite: Mineral information, data and localities. 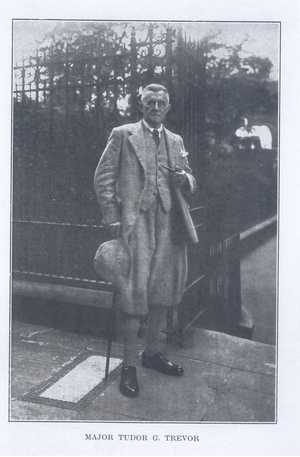 Named after Major Tudor Gruffydd Trevor (1865 – 1958), mining inspector for the Pretoria District, Transvaal, South Africa, where the species was first found. This page provides mineralogical data about Trevorite. Massive. Rarely found as crystals. National Museum of Natural History, Washington, D.C., USA, 132464, 132465. 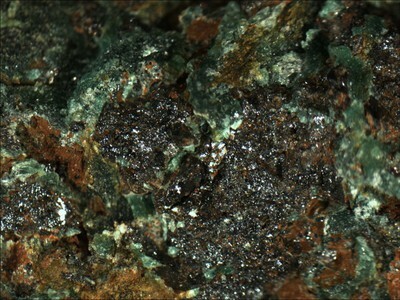 Ferroan Trevorite An Fe-bearing variety associated with heazlewoodite, nickel, and 'UM1981-20-S:NiSbSnTe'. Népouite 5 photos of Trevorite associated with Népouite on mindat.org. Willemseite 2 photos of Trevorite associated with Willemseite on mindat.org. Talc 1 photo of Trevorite associated with Talc on mindat.org. Whitlockite Group 1 photo of Trevorite associated with Whitlockite Group on mindat.org. 7.22.5 Takovite Ni6Al2(OH)16[CO3] · 4H2O Trig. Crosse, A.F. (1921) A rich nickel ore. Journal of the Chemical, Metallurgical and Minining Society of South Africa: 21: 126-127. Wherry, E.T. (1923) New minerals: Doubtful species. American Mineralogist: 8: 37. Walker, T.L. 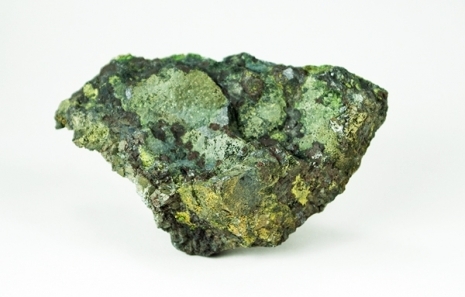 (1923) Trevorite, a distinct mineral species. Contributions to Canadian Mineralogy, University of Toronto Studies, Geology Series: 16: 53-54. Wherry, E.T. (1924) Redefinition of species. American Mineralogist: 9: 97-98. Palache, C., Berman, H., Frondel, C. (1944) The System of Mineralogy of James Dwight Dana and Edward Salisbury Dana Yale University 1837-1892, Seventh edition, Volume I: 698-707.
de Waal, S.A. (1969) Nickel minerals from Barberton, South Africa: I. ferroan trevorite. American Mineralogist: 54: 1204-1208.
de Waal, S.A. (1972) Mineralogical notes: nickel minerals from Barberton, South Africa: V. trevorite, redescribed. American Mineralogist: 57: 1524-1527. Blesa, M.C., Amador, U., Morán, E., Menéndez, N., Tornero, J.D., Rodríguez-Carvajal, J. (1993) Synthesis and characterization of nickel and magnesium ferrites obtained from α-NaFeO2. Solid State Ionics: 63: 429-436. O'Driscoll, B., Clay, P.L., Cawthorn, P.L., Lenaz, D., Adetunji, J., Kronz, A. (2014) Trevorite: Ni-rich spinel formed by metasomatism and desulfurization processes at Bon Accord, South Africa? Mineralogical Magazine: 78: 145-163. Tredoux, M., Zaccarini, F., Garuti, G., Miller, D.E. (2016) Phases in the Ni-Sb-As system which occur in the Bon Accord oxide body, Barberton greenstone belt, South Africa. 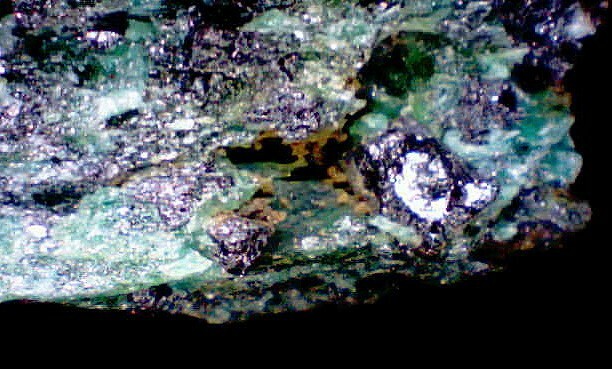 Mineralogical Magazine: 80: 187-198.
ⓘ Logatchev-1 hydrothermal field ? Economic Geology; October 1981; v. 76; no. 6; p. 1686-1697; O'Driscoll, B., Clay, P. L., Cawthorn, R. G., Lenaz, D., Adetunji, J., & Kronz, A. (2014). Trevorite: Ni-rich spinel formed by metasomatism and desulfurization processes at Bon Accord, South Africa?. Mineralogical Magazine, 78(1), 145-163. Vaish, A. K., Singh, S. D., Minj, R. K., & Gupta, R. C. (2013). Exploration and Exploitation of Multi-Metallic Magnetite Ore of Nagaland for Value Added Product. Transactions of the Indian Institute of Metals, 66(5-6), 491-499. Vapnik, Y., Sokol, E., Murashko M., Sharygin V. (2006): The enigma of Hatrurim. Mineralogical Almanac, 10, 69-77.
ⓘ Funtana Raminosa Mine ? Sachanbiński et al. 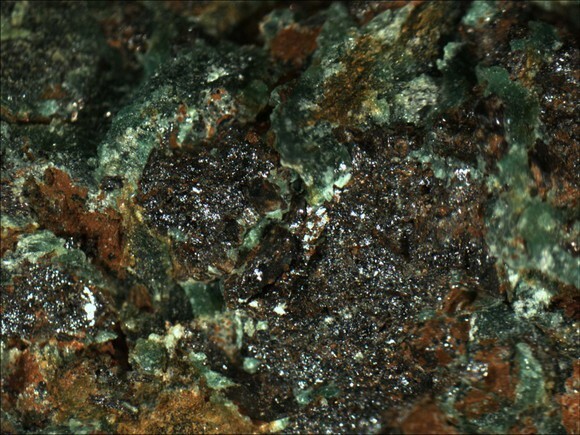 2000: Heavy minerals in the serpentinite weathering cover of the Szklary massif. Geologia Sudetica, vol. 33, pp. 131-141. Bindi, L. et al. (2015): Natural quasicrystal with decagonal symmetry. Scientific Reports 5, Article number: 9111 [doi:10.1038/srep09111]. ; Bindi, L., Yao, N., Lin, C., Hollister, L. S., Andronicos, C. L., Distler, V. V., ... & Steinhardt, W. M. (2015). Decagonite, Al71Ni24Fe5, a quasicrystal with decagonal symmetry from the Khatyrka CV3 carbonaceous chondrite. American Mineralogist, 100(10), 2340-2343. www.lpi.usra.edu/meetings/impacts97/pdf/6055.pdf. ; Andreoli, M. A., Ashwal, L. D., Hart, R. J., Huizenga, J. M., & Ni, A. (1999). Ni-and PGE-enriched quartz norite impact melt complex in the Late Jurassic Morokweng impact structure, South Africa. Special Papers-Geological Society of America, 91-108.; Andreoli, M. A., Maier, W. D., McDonald, I., Barnes, S. J., Roelofse, F., Cloete, M. C., ... & Hart, R. J. (2008). Siderophile minerals in the melt Sheet of the Morokweng impact crater, South Africa: similarities and differences with the Sudbury deposits. In Large Meteorite Impacts and Planetary Evolution IV (Vol. 1423).